Atletico Madrid and France forward Antoine Griezmann has apologised after initially telling his social media followers to "calm down" in response to outrage he sparked by painting himself black as part of a fancy-dress outfit. 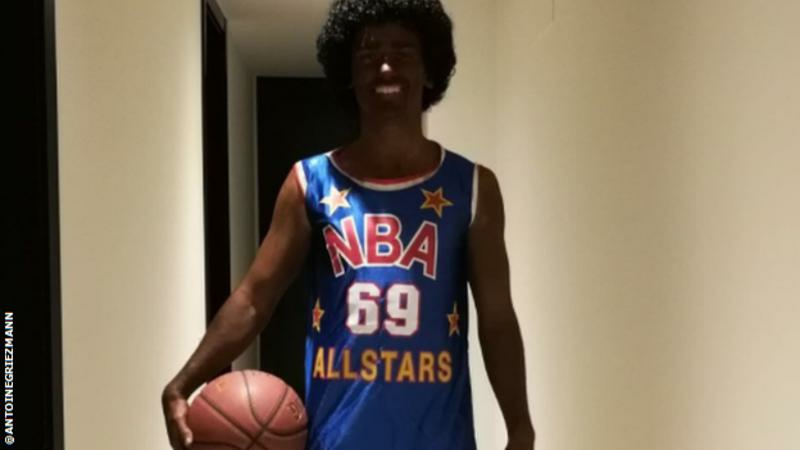 Griezmann tweeted a photo of himself dressed as a black basketball player. He later deleted the post, along with a second message that read: "Calm down everyone. I'm a fan of the Harlem Globetrotters and this is a tribute." A third message contained his apology. It read: "I recognise that it was insensitive on my part. If I have offended some people I apologise." On Friday, a bookmaker was widely criticised for a social media post in which it praised a man who had painted himself black and dressed up as Labour MP Diane Abbott at the PDC World Championships darts tournament. Star Sports Bookmakers has apologised. David Lammy, Labour MP for Tottenham, was among those to criticise Griezmann. He wrote on Twitter: "There are so, so many different options for an 80s party, or a night out at the darts for that matter, that don't involve blackface. "I can't believe we're out here in 2017 saying don't dress up in blackface."